The University of Newcastle Language Centre offers a wide range of programs for institutions wishing to create partnerships with Australian institutions. Our programs incorporate intensive English training, with the opportunity to engage with Australian and other international students, excursions to experience Australian culture, volunteering programs, a highly regarded homestay program and much more. The University of Newcastle Language Centre has been offering English Language Intensive Courses for Overseas Students (ELICOS) for since 1989, and has established a reputation for excellence in English language education. We teach ELICOS for academic and general purposes at varying levels of proficiency at our Newcastle and Sydney campuses. Each year the Centre successfully trains approximately 800 students from over 30 countries including Asia, Europe, South America, the Middle East and Africa. Participants include overseas students, working holidaymakers, tourists, business people and professionals. We provide a friendly, supportive and culturally diverse atmosphere as part of the wider University of Newcastle environment. Courses are taught by fully qualified and experienced teachers of English as a Foreign and Second Language at both our Newcastle and Sydney locations. Many of our teachers have taught in a variety of Asian and European countries and understand the challenges and delights of living and studying in a foreign country. Our staff are led by English Language and Foundation Studies Centre Director, Associate Professor Seamus Fagan, who has a broad experience in EFL and a long term involvement in the governance of English Australia. The Language Centre is a member of the National ELICOS Association, University English Centres Australia (UECA), and English Australia. Our programs are accredited by the National ELT Accreditation Scheme (NEAS). The UON Language Centre is the only official IELTS Testing Centre in the Newcastle and Hunter Valley area, offering regular opportunities for candidates to test their English language proficiency. We also offer IELTS Preparation courses for candidates wishing to develop their language skills prior to IELTS testing. Our Language Centre on the University’s main campus in Newcastle is a modern building, conveniently located in the centre of the campus adjacent to the University’s library and the student services centre. 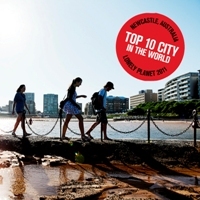 The beautiful city of Newcastle is known for its spectacular coastline, its contemporary culture and enviable lifestyle and was included among the top 10 cities in the annual publication of Lonely Planet Guide to the Best Places to Travel 2011 (“Best in Travel Guide for 2011”). National Geographic has named Newcastle as one of the world’s 7 Smart Cities that have risen to the challenges of 21st century urban life. The University of Newcastle’s (UON) NeW Space campus and an inner-city digital precinct were cited by National Geographic as key attributes of Newcastle’s global “Smart City” status. The University of Newcastle’s Sydney-based Language Centre allows students to balance the benefits of studying English with a high-ranking, long-established institution with easy access to the conveniences of Sydney’s CBD and surrounding areas.